Last Sunday, the Pastor at my church in the Philippines asked me to share at the communion service that evening. For those reading this who may be unaware, communion is where Christians remember the death and resurrection of Jesus, which is basically the pivotal event of our whole worldview. We eat bread to symbolise Jesus' body broken for us, and drink wine or juice to symbolise Jesus' blood that was poured out for us so that we can be made right with God for eternity. People in the developed world, where I'm from, are not good at giving things up. We are obsessed with our "rights"; things we think are ours, and NO-ONE is going to take them away from us. Even Christians, people who confess to follow this guy called Jesus. Well do you realise what HE gave up? I will always remember a Christmas service at Werribee Baptist Church a couple of years ago. Undoubtedly there were many 'once-a-year' Christians there that day, who came along expecting a nice peace-and-goodwill message about the baby Jesus, but Pastor Jeff Benson launched into the incredibly impacting reality of the ultimate sacrifice of Jesus. Jesus Christ left the comfort and perfection of eternal heaven. He entered the world through the womb of a woman, into poverty and infanticide. Because of His birth, His parents became refugees or asylum seekers in another country. Through His three years of travelling while telling people about the Kingdom of God, He had no permanent home and relied on the generosity and hospitality of others. He was rejected and mocked by His own family. While He was popular with the masses, He also endured hunger, sorrow, pain, loneliness, betrayal, injustice and ultimately a criminal's death. Fortunately for us, the story didn't end there and through the power of God Jesus rose again and conquered death. C.T. Studd was an English missionary who gave up a large family inheritance as well as fame and fortune as a cricketer to follow God to India, China and Africa. He is attributed with this quote that has stuck with me ever since I heard it: "If Jesus Christ be God and died for me, no sacrifice can be too great for me to make for Him." It is fair to say, from a first-world perspective, I know a thing or two about sacrifice. Giving things up for the benefit of others. Comfort, security, safety, time, money. 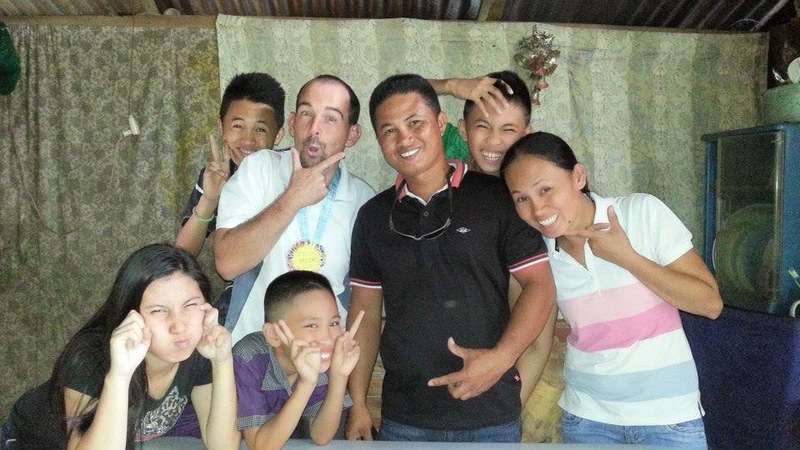 I literally gave up everything in a material sense to move to the Philippines and work in an orphanage this year. Yet it all pales into insignificance compared to what I've received in return. God has used the generosity and sacrifice of people in the developing world to consistently bring me to my knees in gratitude, and provide the closest earthly example of His sacrifice for us. 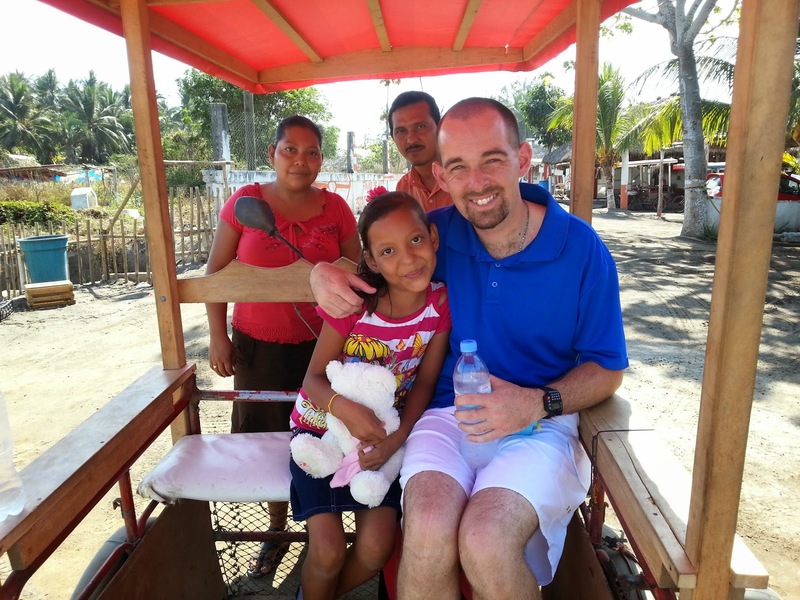 I want to share with you some examples of sacrifice which I have witnessed and been the beneficiary of in my Compassion travels. Just in case some people get the wrong idea, which has happened in the past, I am in no way blowing my own trumpet or saying that these things happened because of me or in honour of me. It is purely and simply a response to the love, mercy and grace of God. I visited Olga in Mexico in 2013. To earn money her father drives a motorized tricycle, and he spends most of his income paying it off. On this day he took us on a ride around the neighbourhood, which I knew cost him money which I did not repay. It was a sacrificial gift to me. I was told he also sometimes gives free rides to some of the kids from Olga's Compassion Project who have no other way of getting there. This is the mother of Jacqueline from Ecuador, who I visited twice in 2013. To earn income she makes clothes, and her two selling days are Tuesday and Saturday. One of my visit days was on a Tuesday, but she stayed home rather than going to the market so that Jacqueline could have her special day with me. This boy in Brazil (who I did not even know) stepped out of his comfort zone in a huge way. 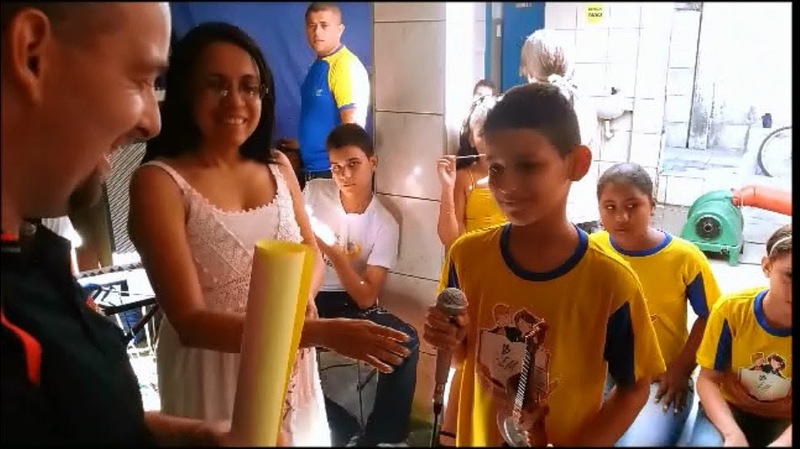 He learned a few words of English and spoke in front of a large crowd just so he could present me with a gift on my birthday. This is the father of Princess Joy from the Philippines. 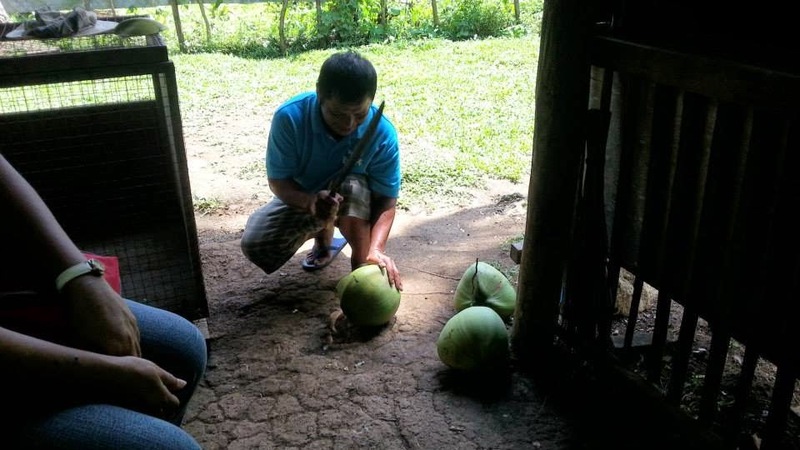 He earns money by getting the stuff out of coconuts, called copra, and selling it. 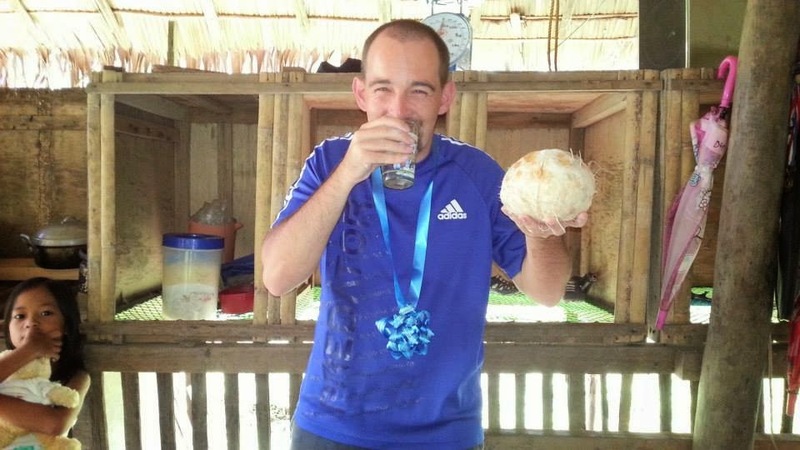 When I visited, he climbed a coconut tree and got a couple down so I could eat and drink from them (below). While I was enjoying the snack, I realised I was eating and drinking their livelihood; their source of income. I accepted their generous sacrificial gift and enjoyed it very much. This gift was given to me by the family of John Dave. It is a glass cube with a model of a big tree and house in it. They had it made especially for me. 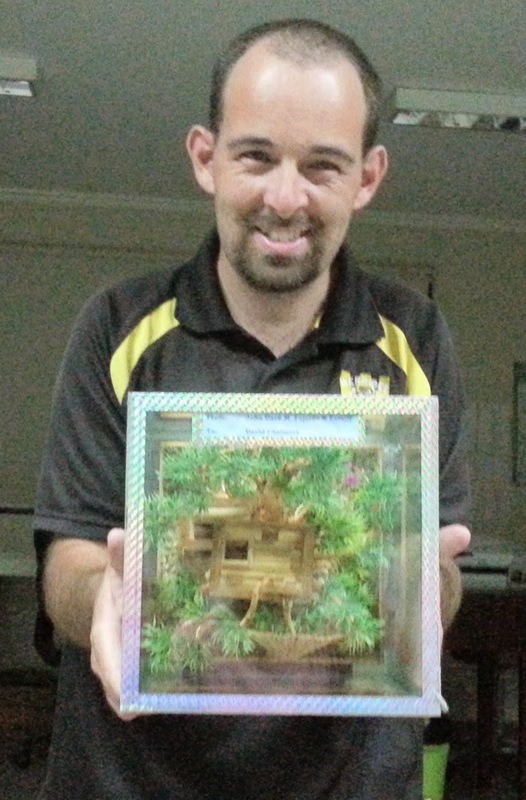 It proved a slight headache trying to take it on planes and buses and may be difficult trying to take into Australia, but it was such a special gift and I know it was a sacrifice for them. This is what I call my "Table of Blessing," and includes all the gifts I've received on my Compassion travels. 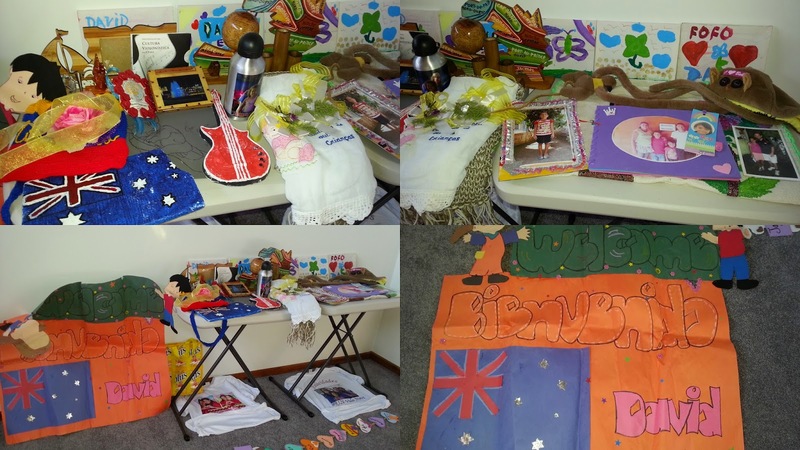 Cards, letters, photos, posters, t-shirts, CDs, drink bottles, scarves, dolls, foam Australian flags, tablecloths, painted plaster guitars. All so precious and given with pure love. Finally, I've chipped in with my own story of sacrifice. Throughout my life I owned and kept two special childhood toys. I received Yellow Ted when I was born 33 years ago, and Sam the dog joined the family when I was 6 and in hospital for tonsillitis. 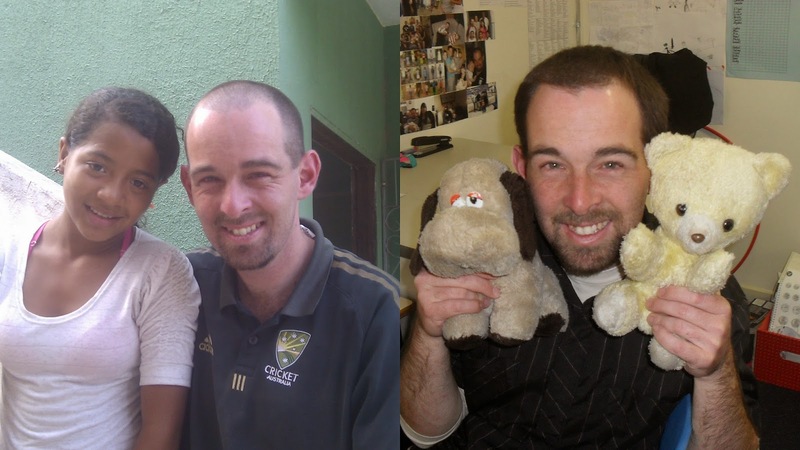 It has been a privilege (and a very hard decision) to give both of my cherished childhood toys to two of my Compassion kids in the last couple of years. In September 2012 I gave Sam to Ana Cristina from Brazil (below). She is a precious 14-year-old whose family has gone through an unimaginably hard time over the last three years (read more here). 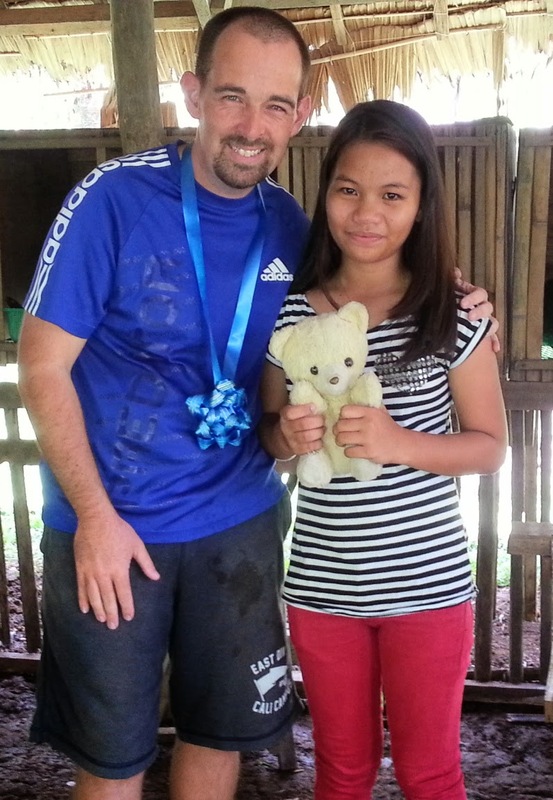 Last week I visited Princess Joy on my birthday (above), and decided to give her Yellow Ted. It was not done as some nice, feel-good gesture. I told them that I want them to always remember how valuable they are to me, and to God. My hope and prayer is that during the hard times in their lives, they will hold Sam and Yellow Ted close and cling to the one true sacrifice: Jesus Christ giving His life for us so that we can be made right with God for eternity.